Not one but TWO fabulous October competitions! We are lucky enough to have two competitions this month. Both are open only to UK residents. "Why do you think Joan of Arc has had more pop songs written about her than any other historical figure?" Please also copy your answers to me at: readers@maryhoffman.co.uk so I can contact the winners. Secondly, Flybe have generously offered a pair of tickets for return flights from London Southend Airport to Caen. I wrote about the sights to be found at Caen and Bayeux. And more about Bayeux here and here, both places I visited courtesy of the airline Flybe and the Normandy Tourist Board. All you have to do to be in with a chance of winning the tickets is Follow us on Twitter and send me an email at: readers@maryhoffman.co.uk to say you have done so. We are @history_girls. We will pick the winner out of a hat and notify you by email. Closing date for both competitions is 7th November. 1. Flight vouchers can only be redeemed on www.flybe.com. 3. Seats can only be booked in Q Class or lower. 4. Seats must be redeemed together and seat availability is at Stobart Air’s discretion. holidays or dates for major sporting events. terms & conditions). Please note this excludes all sporting equipment. 8. Routes and validity dates are not changeable. 9. Please retain this voucher as confirmation of winning. prize must be used by the winner and a companion travelling together. 12. The prizewinner, if under 18, must be accompanied by an adult on the flight. The tickets must be redeemed by 26 February 2015. Also, please bear in mind that Flybe is only covering the flights, not accommodation, transfers etc. Into this month’s Cabinet of Curiosities, I want to put my chair (of uncertain date but most likley Elizabethan) because it is a curiosity in itself with a past steeped in mystery. When I was a little girl I used to visit an elderly great-aunt about four times a year. She lived in the mill town of Radcliffe, Lancashire in a terraced house halfway up a steep hill. It was an end terrace, separated from its neighbour by a narrow alleyway that used to resonate with echoes when I stamped on the flagstones and shouted. Entering through the front door into the hallway I always remember the varnished wood electric meter box, and standing beside it a darkly gleaming old oak chair that just fitted into the space at the bottom of the stairs. Great aunt Elizabeth was meticulous about waxing and polishing the chair, and I was always fascinated by its intricate carving. However, as a little girl I never thought any more about it, it was just auntie’s old chair, and another piece of furniture. My lust at that time was all for the cuckoo clock in her sitting room. However, as I became an older teenager and entered my 20s, my interest in all things historical had begun to spark and I became curious about the chair. I think we struck up a conversation about it after Auntie grumbled about having to keep polishing it. She was much older now and her arthritis made it difficult to bend and her eyesight had deteriorated, hence her hinting about preparing to pass it on. Auntie (born in 1901) told me that the family story went that her great-grandfather had rescued it from a church during a period of refurbishment. The chair had been thrown out because it was badly broken. Said ancestor being of a waste not want not mentality brought it home and repaired it - rather crudely it has to be said. Round the back of the chair are some screwed in iron plates that show his fixings. The same with the seat which is screwed on firmly but rather brutally. The top of the chair shows holes for either finials or a decorative top but these are long gone. Victorian ancestor's crude cobblings to hold the chair together. Now a part of its history too! The chair is beautifully carved, and where my great, great-great-grandfather’s early Victorian vandalism hasn’t run, one can make out screws made out of wood. We’ve never had the chair looked at by an expert, but from trawling online and some domestic researches, it would seem that what we have is a chair of the Elizabethan period or just perhaps early Jacobean. When my ancestor came to rescue it in the 19th century, it was of an age where it wasn’t particularly treasured antique, but rather a piece of junk. So, rough and ready repairs or not, my great, great-grandfather Sykes rescued the chair for posterity. I have tried to work out which church it came from. Sadly my great-aunt has passed away and also my grandmother her sister. My father in his 80s, knows only as much as I do. We think that the chair may have come from the church of St Mary and St Bartholomew parish church of Radcliffe, because the other churches within walking distance of my aunt’s house are 19th-century and without the history to have housed such an item of furniture. Who sat in it? For what purpose was it used? I don’t know, but it’s endlessly fascinating to imagine. In my turn I shall pass it on to my eldest son and it will go to his children after that. In the meantime, I intend to find out more about the chair if I can and add knowledge to curiosity! We are very pleased to welcome our October guest, Helen Castor, well known to those interested in History for her book and TV series, She-Wolves. She is also famous on this blog for being the big sister of Harriet Castor, who has only just stopped being a History Girl. This is what Helen says about herself: Helen Castor is a medieval historian and a Bye-Fellow of Sidney Sussex College, Cambridge. Blood & Roses, her biography of the 15th-century Paston family, was longlisted for the Samuel Johnson Prize in 2005 and won the English Association's Beatrice White Prize in 2006. Her last book She-Wolves: the Women who Ruled England before Elizabeth was widely selected as one of the books of the year for 2010. 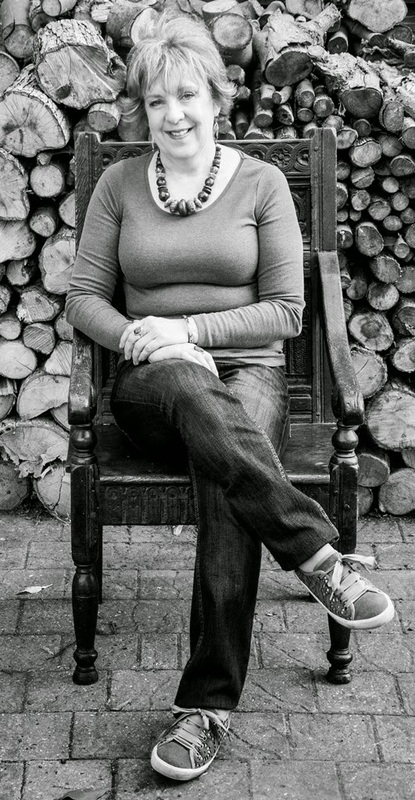 She presents Radio 4’s Making History and documentaries for BBC television, including a three-part series based on She-Wolves and, most recently, Medieval Lives: Birth, Marriage, Death. Harriet: Thank you so much, History Girls, for this opportunity to come back and visit you! 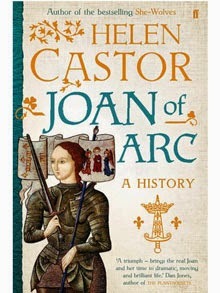 Thank you, too, for giving me this chance to interview my sister, Helen Castor, about her new book Joan of Arc: A History (published in the UK by Faber this month, and in the US by HarperCollins next May). You might think we’d have talked about Joan many times already… but the reality of busy lives – plus the fact that we live in different parts of the country – means that we don’t get the chance to see each other as often as we’d like, and so to have this excuse to chat about Helen’s new project has been a pleasure, as well as very interesting. You might accuse me of family bias (I can’t do anything about that!) but I can say with complete honesty I absolutely loved reading Joan; it is gripping, moving, and explains with vivid clarity the immensely complex and constantly shifting political scenes of the time, both in England and France – a huge achievement in itself, and one that succeeds in setting Joan the woman in her proper historical context. Harriet: Your last book, She-Wolves – The Women Who Ruled England Before Elizabeth, was about four medieval queens. How did She-Wolves lead on to Joan of Arc? Helen: In She-Wolves I was exploring the constraints on female power in a world that expected its rulers to be male – and one of the most significant of those constraints was that women couldn’t lead armies on the battlefield. As I talked about the book, I kept finding myself saying, ‘The only woman who did lead armies on the battlefield was Joan of Arc – and look what happened to her…’. And eventually it dawned on me that I didn’t really know what had happened to her. I knew the outline of her story, as most people do; but I didn’t really understand how she’d come to do what she did, or what she thought she was doing, or how those around her – friends and enemies – had reacted. Once those questions had occurred to me, I wanted to know more. Harriet: Many books have been written about Joan. What did you feel still needed to be explored? Helen: There are countless books about Joan – as well as plays, films, music, art – which meant that sitting down to write was a fairly terrifying prospect. But what I felt was missing was a book that told her story forwards, not backwards. By that I mean that most books about Joan start with her in the fields at Domrémy, hearing her voices for the first time. But all our evidence for that part of her life comes from the transcripts of her two trials – one that condemned her as a heretic, and the other, held twenty-five years after her death, to clear her name. And that leaves us with a problem. The trials took place when it was already clear what Joan had achieved, so the evidence they present is deeply infused with hindsight of one kind or another. And if we start with Joan in the fields, that hindsight is built into the narrative: it’s obvious from the start that she has an extraordinary destiny in front of her, so we’re already telling the story of the icon and the saint. Harriet: What were the particular challenges of the research for this book? Helen: I knew the fifteenth century very well, but almost entirely from the English perspective. So it was a challenge – and a fascinating one – to find myself in fifteenth-century France, within a civil war every bit as complex and brutal as our Wars of the Roses a few decades later. Beyond that, the transcripts of Joan’s trials are deeply testing sources to use. Utterly absorbing, but never straightforward – the process shaped by medieval canon law and theology, the testimonies full of inconsistencies and contradictions, and many of the witnesses’ stories growing in the telling. Every time I go back to them I see new things. 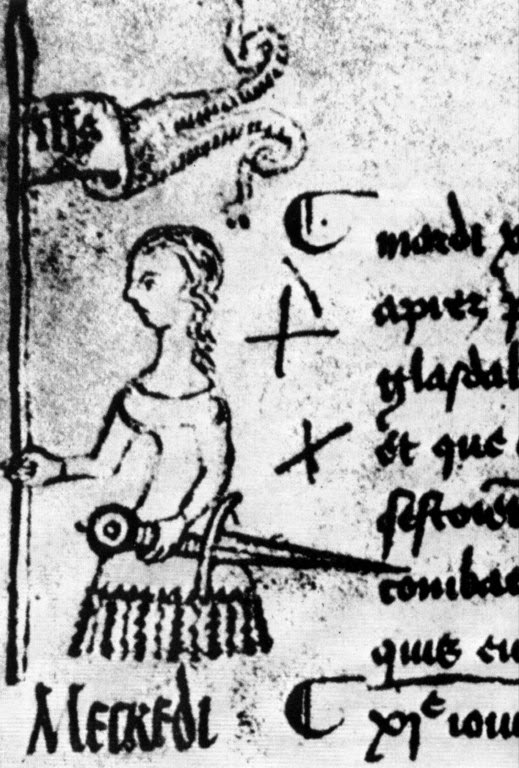 (The only surviving image of Joan made during her lifetime: a picture drawn in the margin of the records of the Paris parlement by its notary, Clément de Fauquembergue, on 10 May 1429, the day when news arrived of the liberation of Orléans. He had heard that the Armagnacs were accompanied by a maid carrying a banner, but he had never seen her, and so depicted her with long hair in female dress). Harriet: There seems to be a push, in the non-fiction history market, towards adopting a fiction-like style of writing. In this context, how would you describe your approach to writing narrative history? Helen: For me, the point of writing narrative history is that it allows the past to be immersive. I’m trying to look through the eyes of the people who were there, to understand what they thought and felt – and that, of course, means there are many points of comparison with what writers of historical fiction are seeking to do. It’s crucial to remember that the people I’m writing about don’t know what hasn’t yet happened, any more than we do in our own lives; so any mention of what’s still to come, or of what later historians have said about their experiences, jolts us out of their world – and I try very hard to avoid that. Instead, all that contextual and historiographical discussion goes into the notes, where it can stand on its own terms. So I suppose I’m saying that historical imagination always has to be at work in attempting to recreate the past – but at the same time there are boundaries to what I’ll allow myself to do. I’ll try to summon up a scene from all the available details in contemporary sources, or put flesh on the bones of my protagonists using every scrap of information I can find; but I won’t, for example, put words into their mouths. Most of the transcript of Joan’s trial is in the third person (‘she said that…’). Very occasionally something is recorded in direct speech – and those are the only moments when Joan speaks directly in my text. There remains the question of the accuracy of the notaries who recorded her words and translated them into Latin; but at least I can be faithful to the transcript. Harriet: As you explain in the book, Joan wasn’t the only holy ‘simple’ person to emerge at this time. Could you tell us a bit more about this? Helen: It can be tempting for us to assume, I think, that Joan’s exceptional career came about because she was a completely exceptional figure in her own time. 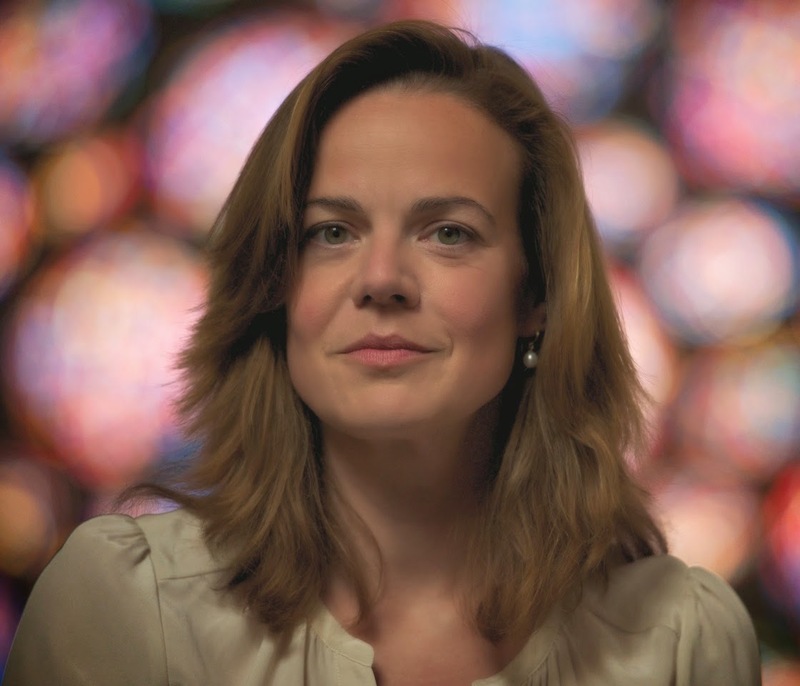 Though she was extraordinary in many ways, it’s important to realise that God was present everywhere in her world, and that she wasn’t the only person – or the only woman – in late medieval France to claim that she heard messages from heaven. What was unique about Joan was her claim that she’d been sent to lead the king’s army, which of course could be regarded as a miracle for as long as she was winning battles, but rapidly became a liability once the victories stopped. And, once she’d been captured, her own side adopted another messenger from God who was almost an ‘anti-Joan’: a simple boy, known as William the Shepherd, who carried no weapons but rode side-saddle, with stigmata on his hands and feet. He didn’t last long either… But if we understand the landscape of belief in which she lived, we stand a better chance of seeing what was truly remarkable about Joan herself. 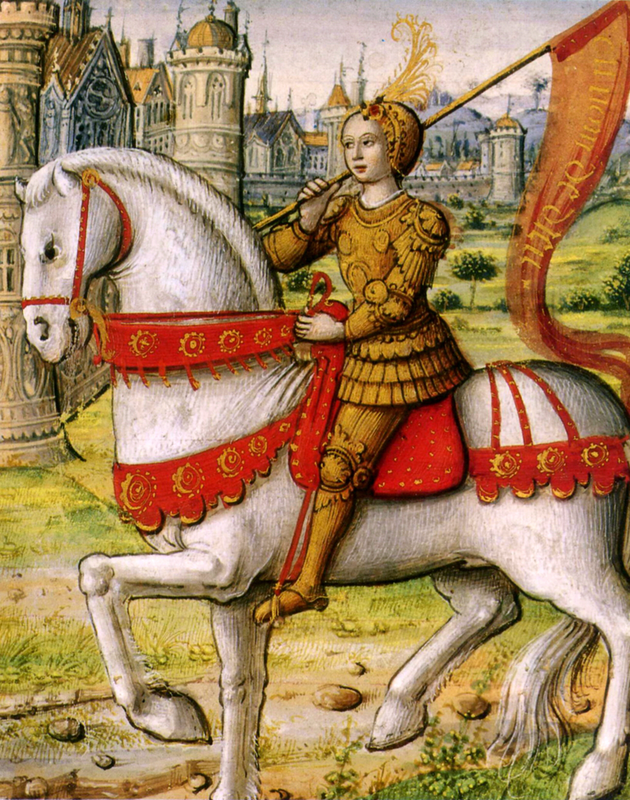 Joan of Arc depicted in a 1505 manuscript. Harriet: I had always thought of Joan’s adoption of male dress principally in terms of its symbolic value, but you point out that there were very important practical issues involved – not simply connected to horse-riding, but to personal security too. How much detail were you able to find out about this? Helen: Her male dress appears to have started as a practical thing. When she set off for Chinon from Vaucouleurs, near Domrémy, the townspeople gave her a horse and an outfit of men’s clothes – which made complete sense, given that she would be riding across dangerous country for many days in the company of a small band of soldiers. But by the time she reached the Dauphin’s court, her male dress seems, for her, to have become part of her mission – an outward manifestation of the work she had been sent to do. It’s very hard, though, to get a clear sense of what the balance was between the two – perhaps because they became so completely intertwined. At her trial, Joan said many different things about her clothes; she always defended her male dress, but not in consistent or completely coherent terms. Certainly, she was physically less vulnerable dressed as a man, because the cords with which hose were knotted on to a doublet offered some practical protection against sexual assault – and some later witnesses suggested that, during the three days towards the very end of her trial when she was dressed in women’s clothes, she was raped in her cell. We can’t know for sure; but it’s an important reminder of quite how vulnerable she was as a lone female prisoner in a castle full of soldiers who hated and feared her. Harriet: Did your view of Joan change during your work on this project? Helen: She moved from two dimensions to three. I felt I’d found the real person, standing squarely within her own world, rather than the icon who somehow escapes from history altogether. What I found particularly moving was coming to an understanding of her voices and visions that made sense to me in human terms. On the last morning of her life, some of her judges visited her in her cell in a last attempt, as they saw it, to save her soul. Some historians have completely rejected this part of the transcript as a fabrication after the event, but for a whole number of reasons that doesn’t convince me historically; and what Joan says during that meeting about her voices and visions – when she knows she’s about to die, and all her grandiose stories of angels and saints have gone – seems to me to have a real psychological truth. I’ve tried to leave room throughout the book for anyone who reads it to come to their own conclusions, but that, for me, was the moment when I felt I understood. Harriet: She-Wolves became not only a book but also a series of BBC TV documentaries, which I know many readers of this blog thoroughly enjoyed (me included!). Can we hope for the same with Joan? Helen: I’m working with the same director and producer and most of the same team – all of them brilliant – on a one-hour programme for BBC Two, to be shown sometime next year. We’ve just finished filming in France, following in Joan’s footsteps from Domrémy to Rouen – and one of the things we’re hoping to do, as well as going to all those glorious places, is bring the transcript of her trial to life as much as we can. It’s an exciting process. Joan of Arc: A History is published in the UK by Faber & Faber, and will be published in the US by HarperCollins in May 2015. As a history undergraduate at Cambridge in the early eighties, I learnt a lot about Balkans, Corn Laws, Reforms Acts, Causes of Wars. I had no female teacher after the age of 16. I loved history, but it really was the wars and the laws, the high thoughts and the doings of great men. If I had then the knowledge curiosity and confidence that I have now, I would have said: I've had it with the economic, can we do some social now? Enough men, bring me women. No more big things please - I want the small. By the small, I mean of course the big small. I mean, while Mussolini was making those speeches, what were the farmers' eating? 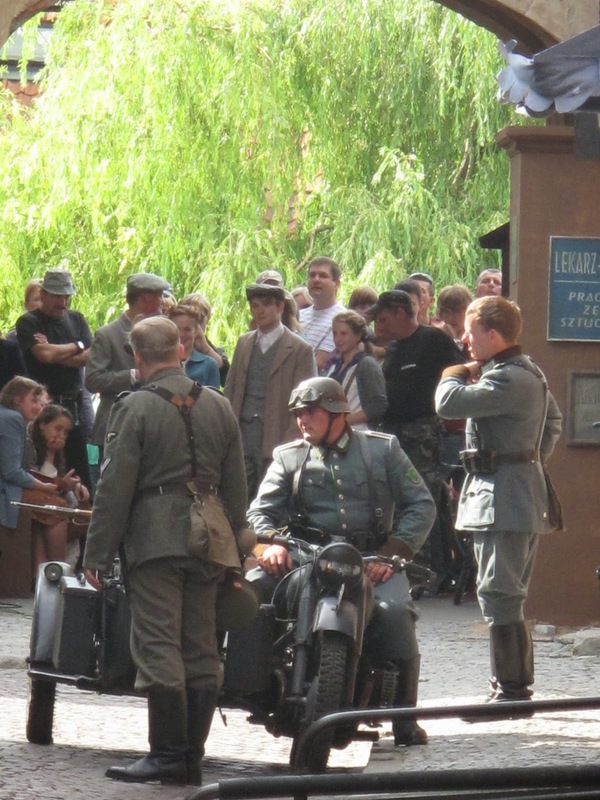 When all those Jews were waiting on the Polish border, what did they sit on? Those cholera figures - so what did those parents actually do, when symptoms appeared in their children? Who did you turn to? What colour was it? What was the greeting commonly used? When did you get your money? How did you clean your bed? As novelists we need the small - but it's not just that. It's not irrelevant. It's not just amusing, or a curiosity. It's the finding of a voice for those who had none. This is why we need Sarah Waters, single-handedly, it sometimes feels, reintroducing the lesbian to a history which entirely left her out, blanked her, removed her even. Radclyffe Hall's line 'That night they were not apart' is no substitute for a true and proper set of accounts for innumerable lives lived in shadow - or at least loves loved in shadow. And she gives us housework. 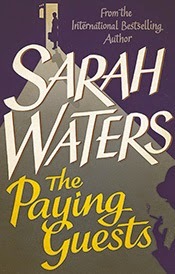 God, the joy of lying in a warm delicious bath, listening to the washing machine tumbling my sheets, reading in The Paying Guests exactly how much elbow grease and copper-boiling and boiler-twiddling and lugging and bleach and mangling and hanging women were putting into washing sheets in houses just like mine, ninety years ago. Jo Baker, in her superb novel Longbourn, based on Pride and Prejudice, describes the maid, Sarah, cast down not only at Lizzie Bennet's carelessness with mud and her petticoats, but at the time of the month when all five daughters, Mrs Bennet, the maids and the cook are - literally - on the rag, at the same time as happens in households of women - and it's Sarah's job to deal with those rags. Esther Freud, in Mr Mac and Me, tells us so movingly and delicately about a small boy's response to his mother's miscarriage. These everyday historical things, tragic but small, normal but fascinating, novelists can give us back, when official history - or mainstream literature (ie, most literature) chose to, or had to, ignore it. I LOVE that these voices are being slipped back into history through novels. 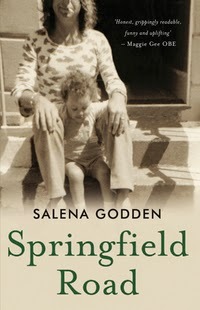 My favourite at the moment happens only in the 1970s, the poet Salena Godden's memoir, Springfield Road. It's her life, her childhood. Her mother the go-go dancer, her father the jazz cat, her grandmothers, English and Jamaican (and a great grandmother with a pipe and a red bandana), her brother, her sister, holidays, sweets, chopper bikes, fingerless gloves, skateboards, dandelions, squashing berries with a stick, going farther than you were allowed, falling in love aged seven with the new boy, who pulled up his shirt and said: 'Punch me. Go on, harder.' Her father left, to join the house band of the QE2. Her new dad was not nice. The shared bedrooms, the housing estates, the ice cream vans, white carpets, a tea tray with a pictorial map of Jamaica on it . . . root beer . . . Liking being upside down. Waiting. Missing your dad. Tragedy, comedy, life . . It is another wonderful book. I never quite knew what root beer actually is, so when a historian turned micro-brewer turned up at dinner last night I thought well, how convenient, and asked him. He told me about sassafras, and the market for non-alcoholic fun beverages during prohibition. (We looked up sassafras and discovered that its chemical, safrole, was also used in MDMA, and had been banned by the FDA at various stages.) Why was I asking, he wondered. I told him about the book. We'd been talking about grandmothers - his was there; she ran a home store in Boise Idaho in the 60s and 70s. One of Salena's Jamaican great great grandmothers was a Maroon. We knew it meant runaway rebel slave, but none of us knew the origin of the word - was it the same root as being marooned? Was that anything to do with mare, the sea? Marrone, the big sea? No, marrone means chestnut, or brown . . . Or the Jamaican band, the Cimarrons? In the Lesser Antilles, the Carib conquest (which had advanced to Puerto Rico by the time of the Spanish conquest, and is still occurring to some extent among the Carib and Arawak in South America) created a sociolinguistically interesting situation. Carib warriors invading from South America took Taíno wives, or raided north and took female Taíno captives back to the southern Antilles. The women continued to speak Taíno, but the men taught their sons Carib. This resulted in a situation where the women spoke an Arawakan language and the men an unrelated Cariban language. However, because boys' maternal language was Arawak, their Carib became mixed, with Carib vocabulary on an Arawak grammatical base. That shut us up. Different languages for the different sexes! Here are some more words from that language none of us had heard of. Mauby! The brewer got excited at that. We looked it up. The internet tells us it's sort of like - haha! - root beer. Only nicer. 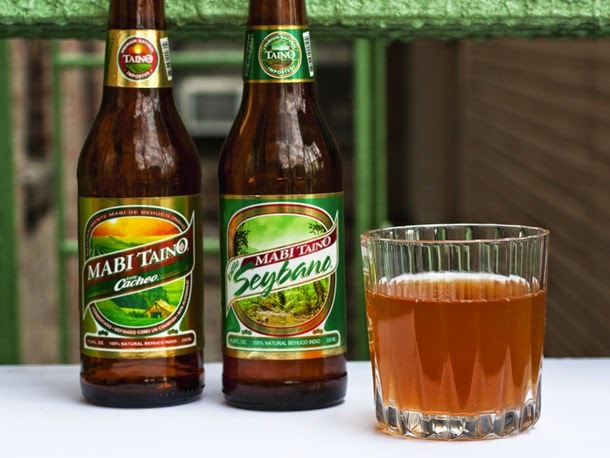 I remembered, later that night, a sweet appley drink a friend at school's dad used to make, back in 70s, known to us as mavvy. I looked it up: you can buy it. Get some in, for the next barbacoa. Ah, the joys of going round in circles. It's all history. Keep it coming. Big and small. And poo to the Corn Laws. I have just returned from a brief stay in Palermo and the western coast of Sicily. Autumn at the heart of the Mediterranean can hardly be bettered. The grape harvests have been completed, the olives are soon to picked and the weather is usually absolutely splendid. I first visited Sicily in 2005. This trip kept me on the island for a month. I hired a car and went wherever the trail took me. 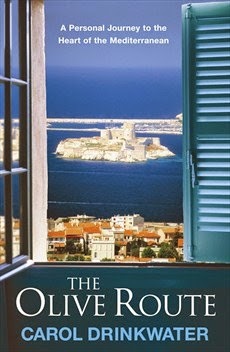 I was searching for stories for my books, The Olive Route and The Olive Tree. What I was intending was to discover and disclose the secrets roles the Mafia had played in the island’s olive oil history. For example, at the end of the nineteenth century and into the early twentieth century, due to exceeding poverty and mob rule, many Sicilians fled their homeland and set sail for America. A few of these immigrants were Mafia members on the run. Once these crooks arrived in the States, they established new Mafia organisations, and these proved to be fabulously remunerative, particularly during the years of Prohibition. These gangsters, Al Capone and his cronies or his gangland enemies, for example, needed a front for their nefarious dealings to keep the law off their backs. So they set up olive oil businesses for money-laundering purposes. The quality of olive oil in Sicily in the early twentieth century was very poor. The oil could be bought for next to nothing, which suited Mafia purposes perfectly. 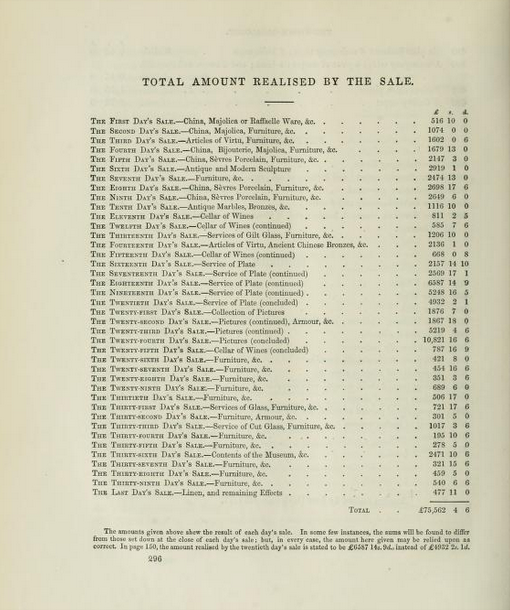 Shiploads of olive oil was exported to the States and sold as ‘Italian Olive Oil’. Who in the United States knew anything about olive oil? Once the oil was there, an international understanding that all olive oil was Italian was born. It is only in very recent decades that both American and other consumers have become aware of a far wider market range. 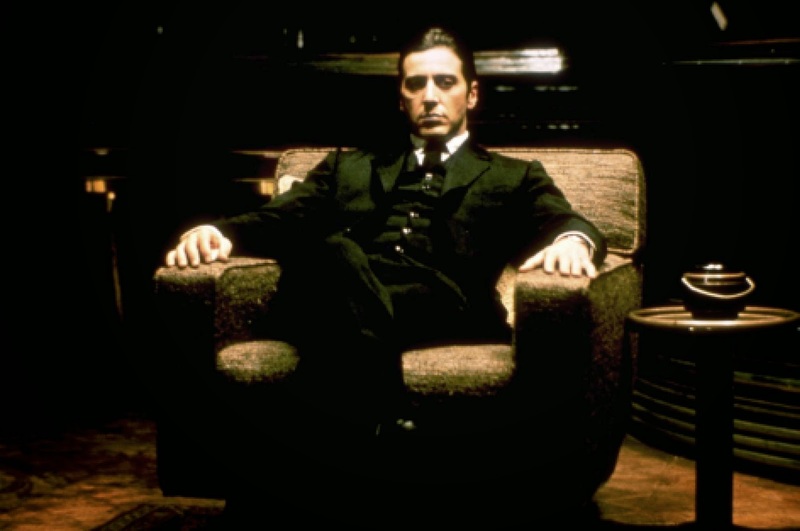 For those who remember, in Mario Puzo’s novel, The Godfather, Don Vito Corleone as a young man started his own olive oil import business, Genco Pura olive oil. Another little olive oil snippet, Puzo took the name of his leading character from the hilltop town of Corleone inland of Palermo. It was from here that the grandfather of the actor, Al Pacino, emigrated. Fiction aside, the Mafia’s role in Sicily’s modern agricultural history is not only a complex story, it was a very challenging for me to unearth. 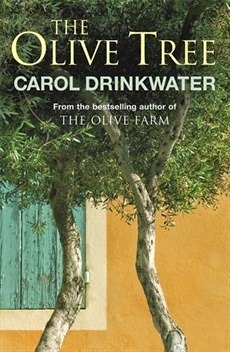 I completed The Olive Tree, but felt that there was far more to be mined than I had succeeded in doing. Over the course of the following years, I returned to the island regularly because I love it and because I still wanted to get beneath the surface of the place. After the two books were published, UNESCO invited me to work with them to help map a Mediterranean Olive Route and from there several television stations contacted me with interest to turn the inspiration for the books into documentary films. I was thrilled, of course. One of the bonuses was the possibility of getting another crack at Sicily. When we came to breakdown the storylines for the five documentaries, the very first story I proposed to the television stations was 'Sicily and its olive oil history'. Naturally, the idea grabbed because everybody loves a good Mafia story. I returned to the island to recce the storyline and on this occasion the budget provided me with an Italian journalist whose expertise was in food and modern Italian politics. A movement of small organic cooperatives springing up all over the island to farm lands confiscated from the Mafia and to bring their produce to global markets. I had the outline for my story: New Sicily and the unpicking of the Mafia stranglehold within the agricultural sector. During the worst years of Mafia control of the island, people were employed for a pittance because there was basically only one employer: the Mafia. They called the shots (in every sense!). There was no social care, merely a pitiable wage. If someone else offered employment with more decent terms, the labourers refused because they were far too scared to quit and move on. They feared the threats of physical violence being meted out against them or members of their families. Tourism was almost non-existent because foreigners feared the bombings and shootings and the horror stories they saw on the news or in the movies. Who wants a horse’s head in their bed?! In any case, building permits for all construction including hotels were in the hands of who? The Mafia, of course. In a sense, the island was becoming isolated and the young were leaving in droves in the hope of building a new, Mafia-free life elsewhere. This is an old agricultural story. When the villages and fields are emptied and only the older generation remain to tend them, the sector begins to die out. Knowledge and competence is lost. Sicily has one of the richest histories of the Mediterranean. It has been conquered by everyone from the Phoenicians to the Greeks, Romans, Normans, Arabs, Spanish and onwards until 1860 when Garibaldi landed and integrated it into the new state of Italy. Because of its colonizers, particularly the Romans, Sicily (also other parts of southern Italy) has been at the mercy of the feudal land system for two thousand years. One of the upsides of having been invaded by so many conquering powers is that it has a multi-layered tapestry of cuisines and agricultural expertise. But if there are no young left to grow the produce, to tend the lands and livestock, to learn the ways of the land? In 1992, tragedy struck but it brought about a new seed of hope. 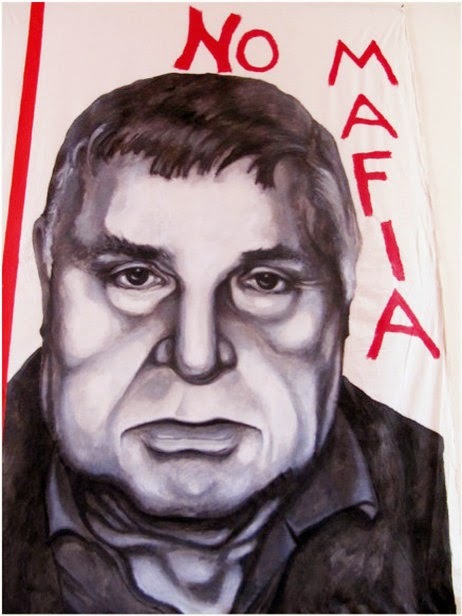 In 1992, two shocking Mafia murders took place. Two leading Sicilian magistrates, colleagues and friends, Giovanni Falcone and Paolo Borselino who had vowed publicly to rid the island of its Mafia poison, were both murdered, one after the other within the space of a matter of months. The island reeled. It was grief-stricken. These men had been heroes, now they were martyrs. No one could now deny that the Mafia would not go to any lengths to protect its own system. For our film, we bought newsreel and archival footage of these assassinations and their two public funerals. It is very moving material. Sheets were hung from balconies offering prayers, promises to remember, the streets were flooded with waves of flowers. Thousands and thousands followed the funeral corteges. Out of these grotesque deaths, came the seed of hope. Father Ciotti in Turin and others elsewhere on the mainland but most importantly the young of Sicily cried, ENOUGH, BASTA. It was the seed of regeneration. In 1995, Libera Terra was founded along with one or two other organisations such as Addiopizzo, meaning ‘goodbye to extortion monies’. Several godfathers were arrested in quick succession and their assets were handed over to be used for organic farming and agroturismo. During one of my visits, I stayed in a Mafia hideout. It was very well concealed, sitting off a goat track high in the mountains, as one might expect for a hideout. Today it is rented out as a chalet to tourists. The monies earned from the rentals and sale of the organic food produced, particularly wine and olive oil, help to pay the working people decent wages. There were setbacks. An entire, newly-planted olive grove was set alight one night as a ‘warning’. But Ciotti retaliated, and loudly. He organised a massive campaign all across across Italy. Pop stars, young people, celebrities flew to the island and replanted the groves on camera for the various news channels. We have a clip of this also in our film. It is very uplifting to see such courage and hope. By the time we had finished our film, I believed that the island had broken free of its chains. There are indeed many signs of growth and there are many young who have returned to work where they were born and where they can today expect to be paid a living wage and feel secure that health care will be available and that their lives are not at risk. Tourism is on the ascent. Sicily is, in my opinion, producing some of the finest olive oil in the world. And it is not just oil from one or two isolated farms. Consistently, it wins awards internationally and the farmers, the producers, are setting themselves high standards. The quantity is not enormous but it is very fine. But history is a slow mover, and the grip of an organisation as powerful and as invasive as the Mafia does not let go easily. It takes fearlessness and tenacity to push against a system that has snaked itself in and around every sector, to build reform, to take back what has been stolen. 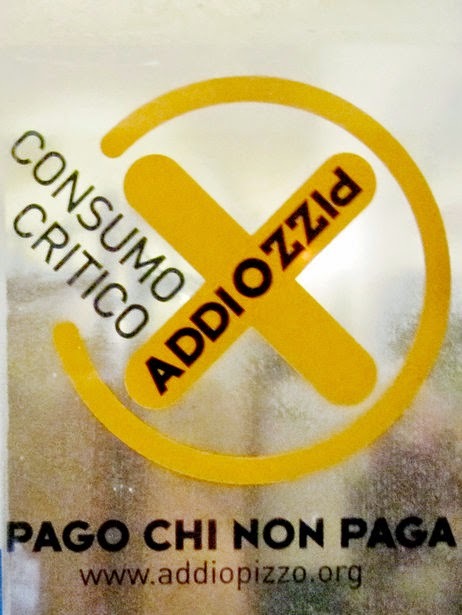 Italy’s financial crisis (in part due to corruption) is critical. Sicilian unemployment is running at twenty per cent. This last week in and around Palermo showed me that there is still an on-going struggle to be fought. Still, I like to think that this page – one hundred and fifty years old, at least – might be turning and that before too long these islanders might be able to hold their heads high and celebrate the land wealth that is theirs and very hard won. A few months ago I was on about the great 19th century cad, Henry Cust, who lived high on the hog, and is said to have left descendants in cradles all over upper-class England. Well, it turns out that he was a mere amateur. I have just stumbled across the Master, who died in 1861, the year Cust was born. 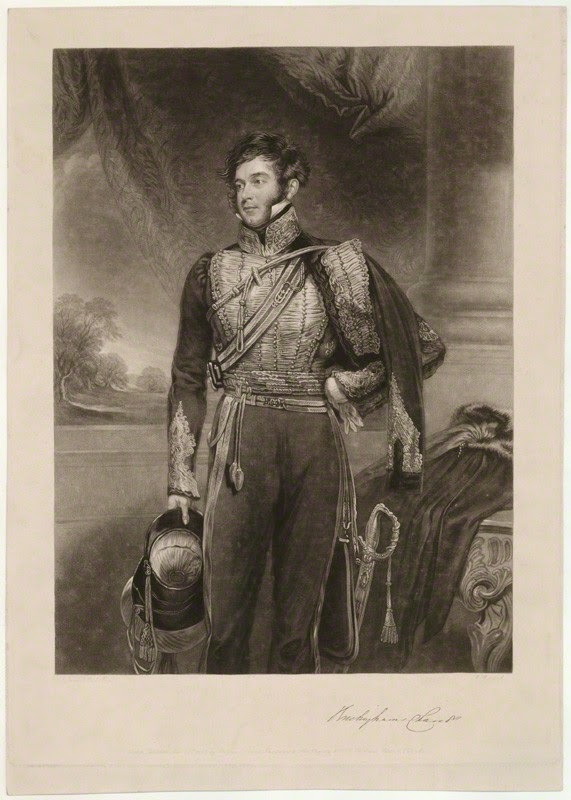 Step forward Richard Temple-Nugent-Brydges-Chandos-Grenville, otherwise known as the Second Duke of Buckingham and Chandos, born into a life of wealth and promise in 1797. 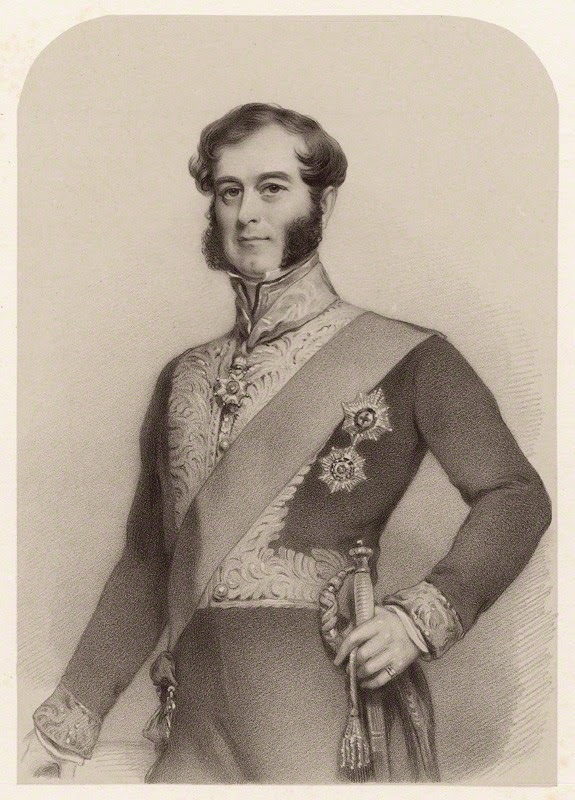 Before inheriting his dukedom in 1839, he held a variety of titles, was MP for Buckinghamshire, was Briefly, in Peel’s second administration, Lord Privy Seal, and was awarded the Order of the Garter. Yet Richard (as we will call him for the sake of brevity) spent a great deal of time abroad, mainly collecting art treasures for his grand houses in London and elsewhere, notably the fabulous palace he inherited at Stowe. By a chain of family marriages through the 18th century, and even before 1819, when he took as his own bride a Scottish heiress (Lady Mary Campbell, daughter of the Earl of Breadalbane) Richard was related to almost everyone who was anyone, including royalty back to the Plantagenets and, in the world of politics,the Pitt and Gladstone families. None of the links (even to the earlier Dukes of Buckingham and to the first Chandos dukes) was exceptionally strong, but they were very many. 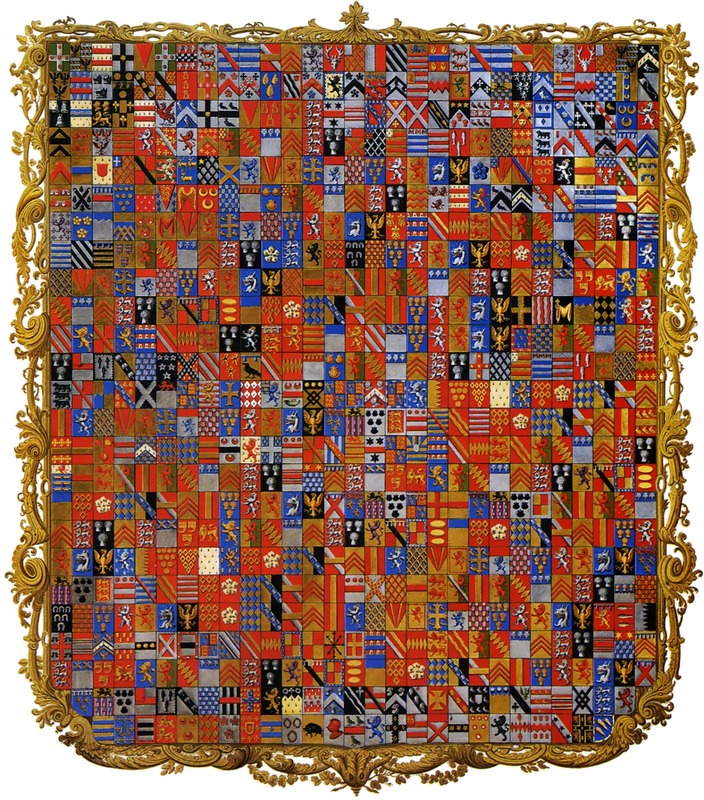 Richard had his elaborate lineage depicted in this grand armorial banner showing 719 quarterings of the dynasty. His lifestyle was lavish, and founded on a talent for persuading people to lend him money. The trouble was that he was very bad at paying it back, and the interest mounted up. 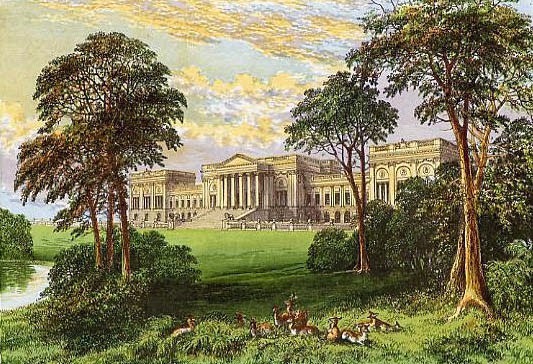 It was no help when Queen Victoria and Prince Albert came to stay at Stowe for several days in 1845, running up yet more bills. 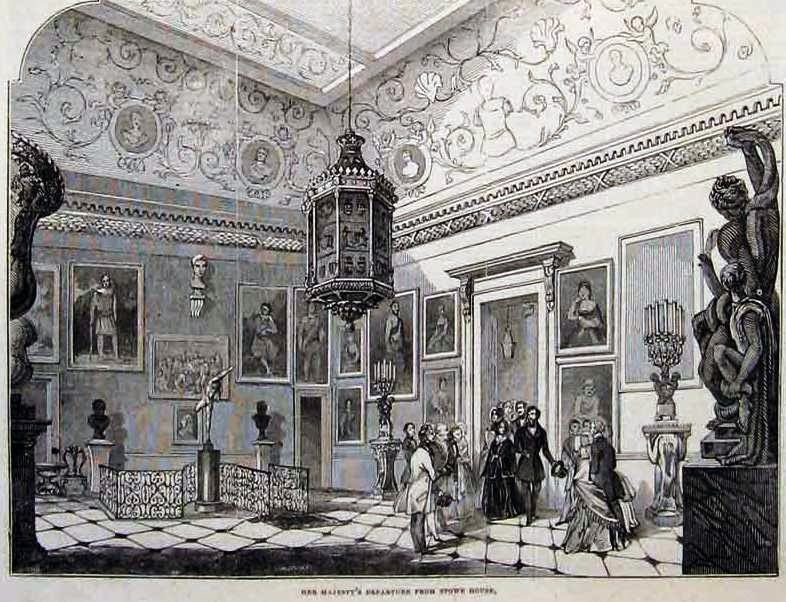 By the 1840s, the Duke was in serious financial trouble, and In 1848 he found himself having to sell off the contents of Stowe House in one of the greatest auctions ever seen. The auction took twenty-nine days between August and October 1848, and raised £75, 562 4s 6d. - a fabulous sum at the time, but a mere dent in his debts of more than a million pounds - perhaps a billion in today’s money. The wonderful paintings, marbles, furniture, tapestries and china are indeed scattered across public and private collections today, though the twenty-one thousand bottles of wine have probably been drunk by now. The armorial banner, which had cost Richard £400, was sold for thirty-two, and ended up decorating the lobby of a hotel in Tunbridge Wells. 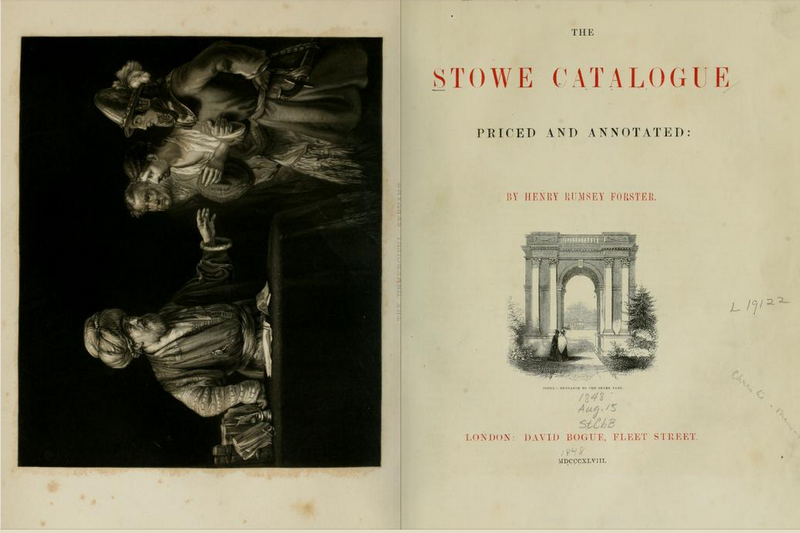 Forster's edited catalogue, with details of who had bought what, and for how much (or how little) was a physical emblem of disgrace for the whole Grenville family. But worse was to come. And once again it was all Richard’s fault. 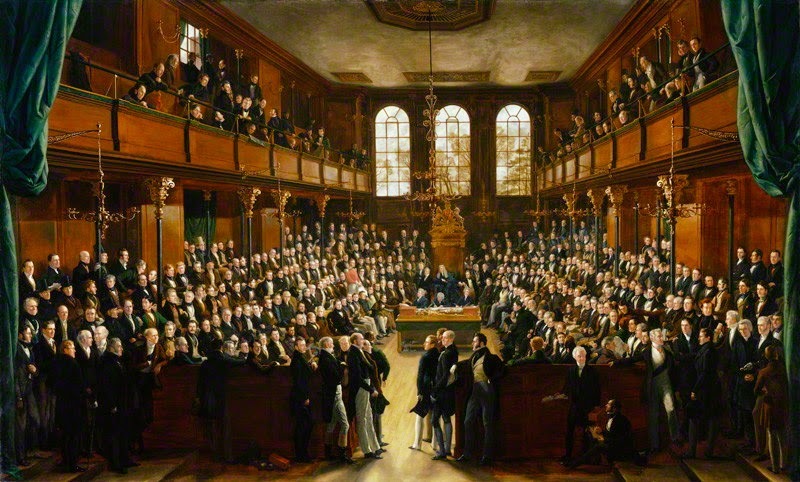 Society gradually became aware that after thirty years of marriage he was being publicly imprudent with a woman called Henrietta Parratt, the middle-aged wife of one of the Clerks to the House of Lords. The couple were spotted by reporters riding around in a cab with no apparent destination. Edward Parratt was not prepared to put up with humiliation by ‘a pathetic empty-headed woman who had been swept off her feet by the attention of a great nobleman’, and everybody knew it. 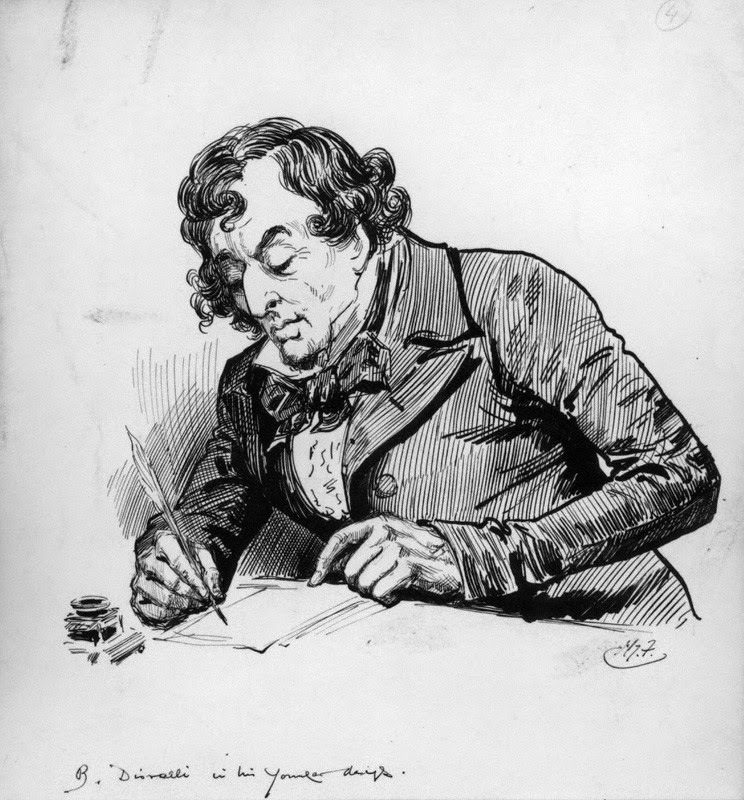 On Sunday 7th January 1849, the young Benjamin Disraeli wrote to his wife after an exhilarating conversation in Brighton with the exiled Austrian leader, Metternich. 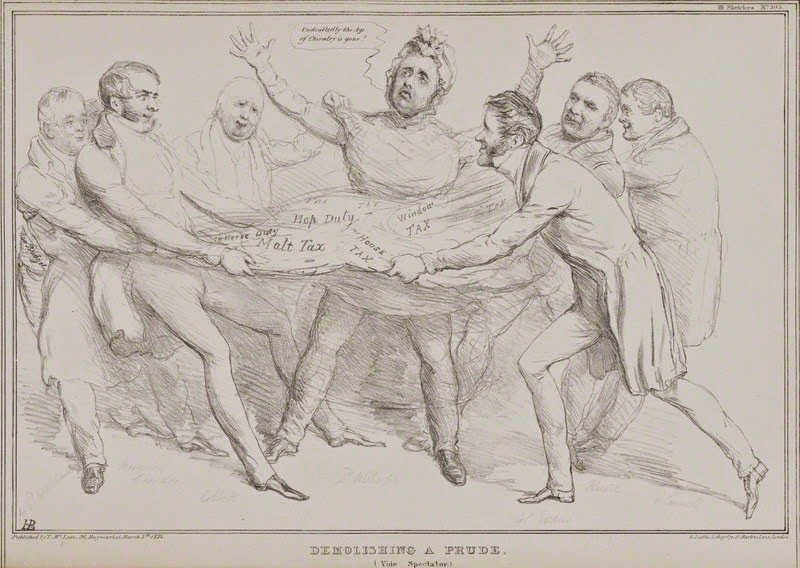 The Duke of Buck’s female case is going on, I hear; the husband being injured, brokenhearted, disconsolate, alas, determined to get rid of his wife, now the Duke is ruined. What a vexatious climax to his catastrophes. London was electrified by the scandal. 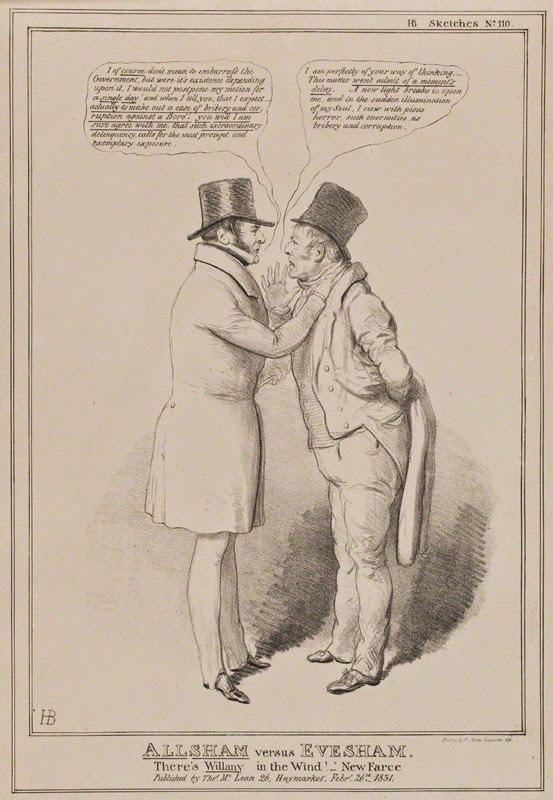 Edward Parratt sued the Duke for ‘Criminal Conversation’ with his wife. He won the case, and was awarded £2,000 in costs and damages, along with a divorce. But Richard’s charm was still working. Fellow members of the Carlton Club paid the bill. Henrietta Parratt was denied contact with her children and fled to Paris to await her lover. Of course, he never turned up. Meanwhile the Duchess had had enough. In early 1850, she was awarded a divorce in the Consistory Court. She spent the next ten years fighting legal battles to get back the money her father had settled on her when she married. There was no hope, and she eventually went mad. The woman who had once entertained the Queen was completely cut out of polite society. I could find no surviving pictures of her. The 2nd Duke of Buckingham and Chandos died in 1861, a bankrupt living at the Great Western Hotel in Paddington. He had spent his last days writing about his earlier travels in search of artistic treasures. A year later, his former wife was dead too. It was all over. 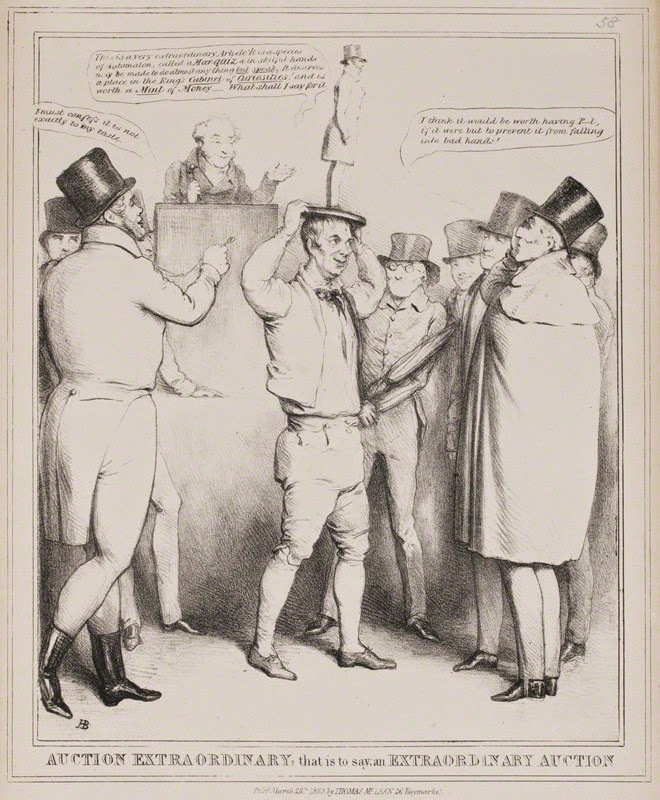 “a man of the highest rank, and of a property not unequal to his rank, who has flung away all by extravagance and folly, and reduced his honour to the tinsel of a pauper and the baubles of a fool”.